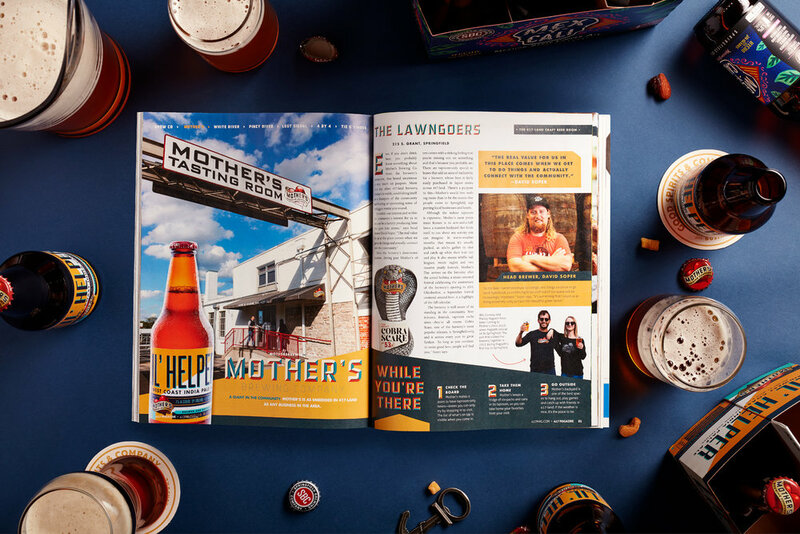 In late 2018, 417 Magazine reached out to us to step in for a month for some freelance Art Direction for their Craft Beer Boom issue. Little did we - or they for that matter - know it would blossom into such an awesome relationship. Starting with the November Craft Beer Boom issue, the FDCx417 Collaboration ended up spanning 6 consecutive issues, culminating in 4 American Advertising Federation Awards. The best part of working with 417 Mag was their ability to sign off on getting weird and letting us do what we do best - make stunning work. 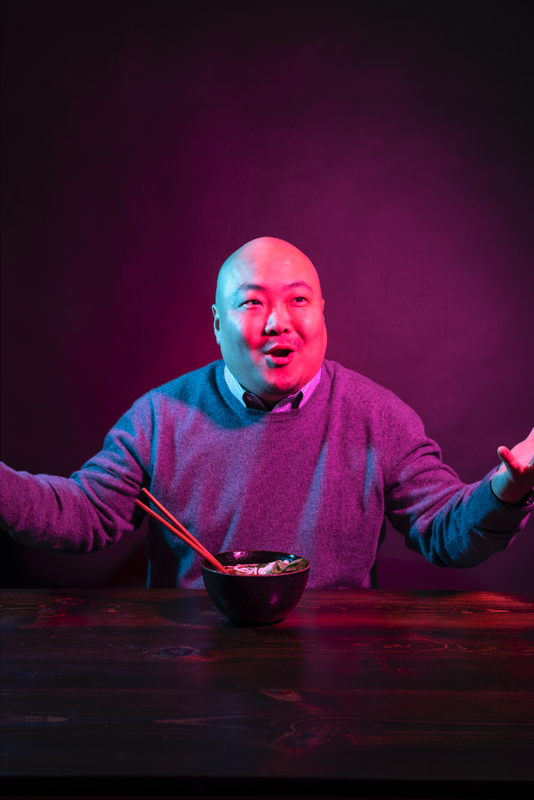 For the “What Foodies Eat” issue, we focused on the late night nature of the hospitality industry, a hotbed for foodie culture. 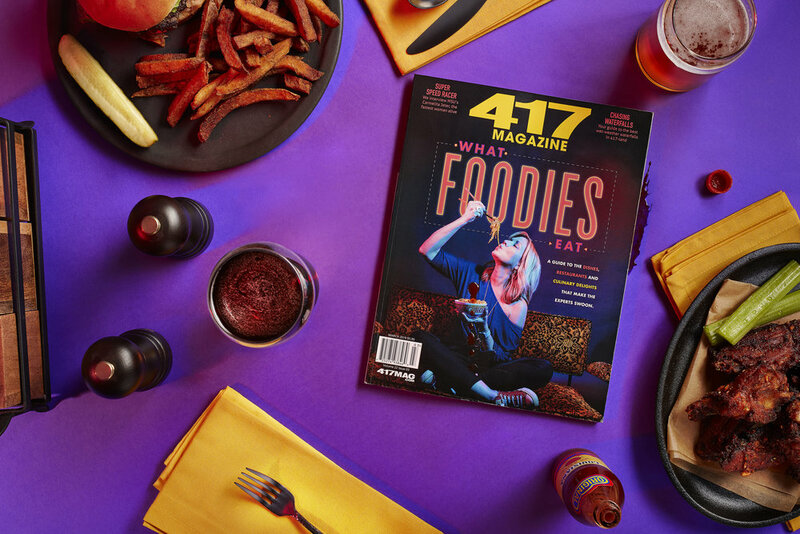 Using neon light and personality driven photography, we created a story within a story to highlight the 417-land creative foodie culture. 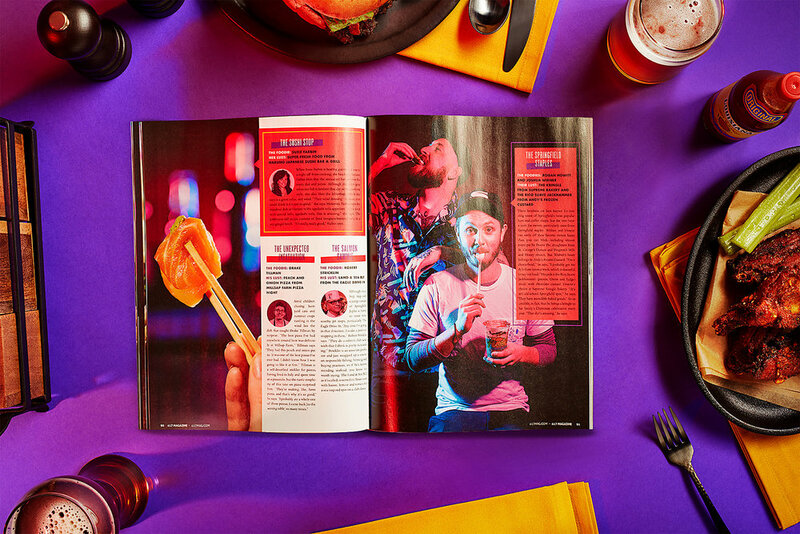 For Best New Eats, our goal was to make you hungry as possible while reading this feature. Using top down, hard light photography and bright green and red tones, flipping through this issue without hearing your stomach growl was nearly impossible.